iOS 11 sets a new standard for what is already the world’s most advanced mobile operating system. It brings new features and interface changes that enhance both the iPhone and the iPad into the most powerful, personal, and intelligent devices they’ve ever been. Towards the Apple event on September 12th, we are excited to share the news about our amazing updates to both 24me and Complete apps. Both are going to be one of the first apps to include some of the brand new features introduced by iOS 11 and WatchOS 4, once iOS 11 will be public. 24me Smart Personal Assistant gets a boost of productivity now that it can talk with Apple’s Assistant, Siri. 24me brings all the power and elegance of a smart assistant which provides one place for your schedule: calendar, tasks, notes, personal accounts and iPhone Reminders. It creates a timeline of your personal schedule for the day, with personalized notifications about the things you care most. Like a real personal assistant, 24me helps you be more productive and efficient so you get more out of every moment. With the new iOS 11, 24me can integrate with Siri, so you can get things done even more quickly and on the go using your voice. 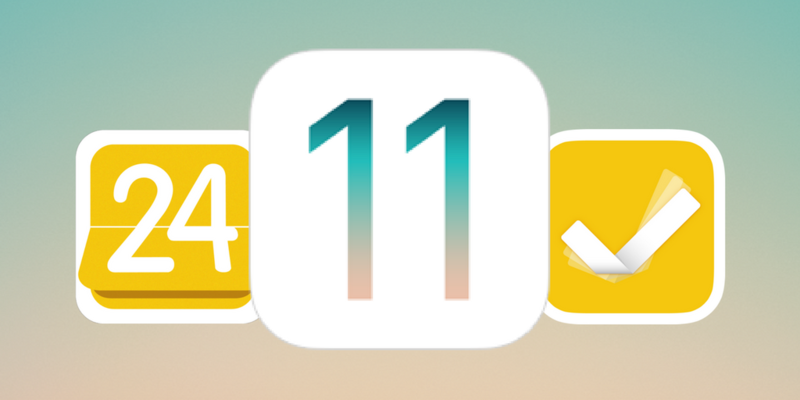 All iOS 11 updates will be supported in both 24me and Complete apps the day of the release. We advice you to check the App Store right after the announcement to see the great new features in 24me and Complete. The birthdays that you see come from calendar account you connected to your device. If you tap on one of them and go to the Calendars tab, you will see which calendar account is associated with them. You can then hide that calendar account under Menu > Settings > Visible calendars.